Ever since True Detective left our screens, we’ve been longing for a quality TV drama with enough weirdness to keep things interesting. Twin Peaks is like a light-hearted version of True Detective, with an out-of-town FBI agent coming into town and helping the sheriff’s department track down Laura Palmer’s killer. Instead of grand speeches on time and existence, however, Twin Peaks’ Dale Cooper is more concerned with pie, Tibet and damn fine coffee (and lots of it). The community is altogether nicer too, barring a few exceptions. The 1st season is nigh-on perfect, although the 2nd season (which David Lynch was only partly involved in) meanders a bit before rallying for a completely unexpected ending. Well worth it! People are coming back to life in this French drama and no-one knows why. At least they don’t want to eat brains. Les Revenants (or The Returned, is set in a similarly rural community to True Detective with the same combination of existential angst, sombre reflection and atmospheric dread that the HBO drama did so well. Plus, watching it will make you look well cultured. Justified has been sailing under the radar for a few years now, but is gradually gaining wider exposure…just as it approaches its final season. Ah. Nevertheless, this is a perfect post-True Detective show, telling the tale of a hotshot US Marshal reassigned to small-town Kentucky to uphold law and order. The main draw for TD fans, however, is the relationship between Raylan Givens and Boyd Crowder, a pair of crime fighters who share the same tense ‘are they friends or do they want to kill each other?’ relationship as Rust and Marty. Broadchurch is a nice slice of grim crime fun from our own fair isles, focusing on the hunt for the murderer of an 11 year boy in a lovely seaside town. In True Detective style, the cops on the case are portrayed by actors playing against type. David Tennant, the wackiest and most child-friendly of Doctor Who’s, plays the grim-faced Alec Hardy with such gloom that even his beard seems depressed. Alongside Tennant is Olivia Colman, best known as Sophie from Peep Show, who banishes any memory of Mark and Jez’s antics quicker than you can say ‘The El Dude Brothers’. It’s bleaker than a rainy weekend in Weston-Super-Mare. Originally aired in 2008, Red Riding is a trilogy of mini-films focusing on a series of murders in late 70s-early 80s Yorkshire. Brimming with Northern darkness, Red Riding is as depressing – if not more so – than True Detective. With an ever-changing cast of angst-racked protagonists, a less-than-co-operative establishment and a series of child murders, this is True Detective with a flat cap and whippet. This classic 2009 episode of the ongoing Chuckle Brothers saga sees Paul and Barry dive into the murky world of the police and face off against an evil rival to win the Cadet of the Week award. Filled with drama, an odd couple and a series of horrific slapstick injuries, this is the obvious inspiration for True Detective. 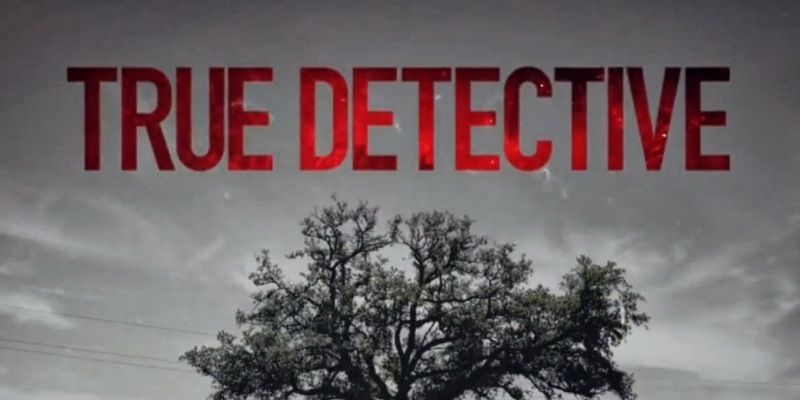 Have you got any shows you’d recommend to True Detective fans? And if you need some spare cash to afford any of the boxsets above, sell DVDs with musicMagpie!